PowerISO is a powerful image processing and file compression tool. It allows you to create, extract, compress, edit and convert ISO/BIN image files, and mount these files with internal virtual drive. And most of all, the compressed files can be used directly without decompressing. The program can process almost all CD / DVD / BD image files including ISO and BIN files. PowerISO provides an all-in-one solution. You can do every thing with your ISO files and disc image files. 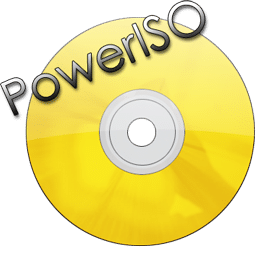 PowerISO support almost all CD/DVD-ROM image file formats (ISO, BIN, NRG, IMG, DAA and so on). Burn ISO file to CD, DVD, or Blu-Ray disc. With this tool, you can create Audio CD, Data CD, Data DVD, Video DVD or VCD. The program also supports Blu-Ray burning. Create bootable USB drive. The program allows you to setup Windows through USB drive. Supported operating systems: from Windows 98 to Windows 10 (32-bit, 64-bit). PowerISO 6.1 comes with three extra pieces of apps. Take your time installing the developer makes you jump around to not install the extras. nice,,but UltraISO Premium is also nice,try it. @picajzla True, problem solved. This is a great solution to deal with ISO files and other formats. Still installing AVG toolbar even if you say no.